Like, dear god, I don’t have the patience or the kind of faith (I’m culturally agnostic) to sit through an hour and 25 minutes of this for the possibility of 5 minutes of a “Lazy Sunday.” There’s a number of better things to do with your time on a Saturday night than watch Saturday Night. I could write whole other listicle on this, but instead, I’m going to defer this post to be about the far superior Rutgers Night Live and wait until I sell out and work for Buzzfeed to do that. “So, what makes Rutgers Night Live better anyways? It’s the same premise, no? Live sketch-comedy and all that? Like, David, it even has a digital short and a weekend update—it’s literally the same thing”, I hear you say. “And yes! It is!” I respond emphatically. Because I never said the format Saturday Night Live was bad, I said the content was bad; whereas Rutgers Night Live is, like, actually really good. Let me ‘splaine it to ‘ya another way: I literally cracked my phone laughing during one of their rehearsals. No bamboozle. One of the sketches had me laughing so hard I went to go slap my knee (because I’m a dad (re: my aesthetic if you’ve met me)), but with my phone in my hand (because I’m also a millennial^ (re: I’m the worst and am ruining Buffalo Wild Wings and Applebees)), so I actually cracked my phone screen on my knee laughing at them. Oh, but you’re still not satisfied? Not sure that this is genuinely that good? “Am I really going to crack my phone on my knee laughing at this performance?” you, collectively, my 4 readers, mutter. But let me reassure you further, as I am clearly really not an authoritative source of comedy as my tenure with the blog will already attest. Rather, let me let the host, Krystina Matos, do a lot bit of persuasion here since she clearly has a hold on comedy and obviously is more competent in this area and totally just freaking gets it. “RNL XV is special because the sketches are as versatile as the people in them. People should come see it because it's so damn funny. They should take the time to treat themselves to something that's simply entertaining because people just don't do it enough,” she says. Also, since we’re talking about Krystina “Perfect” Matos, can we talk about how her proud Latina origins tie perfectly with the so-clever-I’m-upset-I-didn’t-come-up-with-it sub-title for RNL FIFTEEN, El Quinceanera. That’s without exaggeration the most flames subtitle for any RNL ever and I will box anybody who tries to tell me otherwise. I actually don’t get how that’s not enough to get y’all to come out. This blog post shouldn’t even need to exist to attempt to get you to come out because that title is so top-tier #marketing af. 3) knowing Cabaret history is important because Cabaret history is the history of Rutgers and the history of Rutgers is the history of football and the history of football is the history of this country, as recent political events have shown. I don’t make the rules, folks, I just enforce them. This is just what I learned in my 4 years here. So, those people? Craig Dilliplane, Maddie Hehir, John Lerman, Rafael Lozada, Oren Merhav, Christopher Michael, Nathan Olmeda, Francesca Petrucci, and Dan Robertson. Right?! Isn’t that such a solid group, you people who are involved in student theatre here and get that these people are always the reliable comedic relief from the sad, sad world we’re living in? But, if you aren’t a part of the student theatre world and these names mean nothing to you, you’re just going to have to trust me and go see for yourself; and if I was truly wrong, please, tell me afterwards so I can roast you for your objectively wrong opinion on comedy. Okay, so what have we learned here today? Saturday Night Live is bad and Rutgers Night Live is good. Yet, the RNL event page on Facebook claims, “What's RNL? It's just like SNL but Rutgers! We have sketches, a host, a digital short, and a weekend update. The only difference between RNL and SNL is location, other than that we're exactly the same ;)” But like, that wink is nodding to the fact that this is sarcasm, right? Because they’re not the same at all considering (again) RNL is good and SNL is bad. Seriously, guys, write this on my gravestone so people know because I want to stress this fact to my grave. 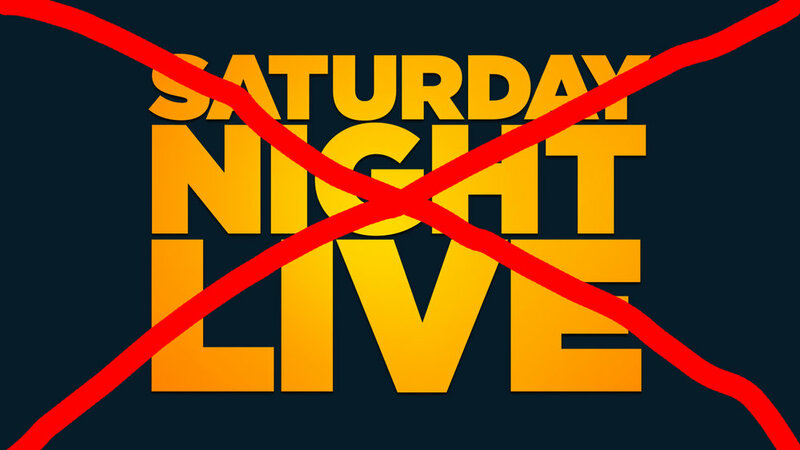 So, please, skip Saturday Night Lame (nailed it) and come see Rutgers Night Love of my Life (please clap) this Saturday night OR go watch their Friday and/or earlier Saturday performance and then go home and watch SNL that night to compare and realize how objectively right I am. Either way, go and find out how right I am. I triple dog DARE you. Cabaret Theatre Presents - RNL XV: El Quinceañera will be Oct. 6 & 7 at, of course, the lovely Cabaret Theatre. Full details regarding the event can be found HERE. See you there! ^I actually found out very recently I’m in some group called “Gen-Z” and missed out on being a millennial by just two years, but like, I totally identify with this whole “Avocado toast loving, totally absorbed by tech, IPA cracking, crippling anxiety over what I’m going to do for work having” generation, and until Gen-Z is defined with such qualities I’m out.